Electric hobs come in several different varieties – there are induction hobs which use magnetic coils to generate heat within the pan, and there are the more traditional sort which uses electricity to heat up a platter, upon which pots and pans can be placed during cooking. 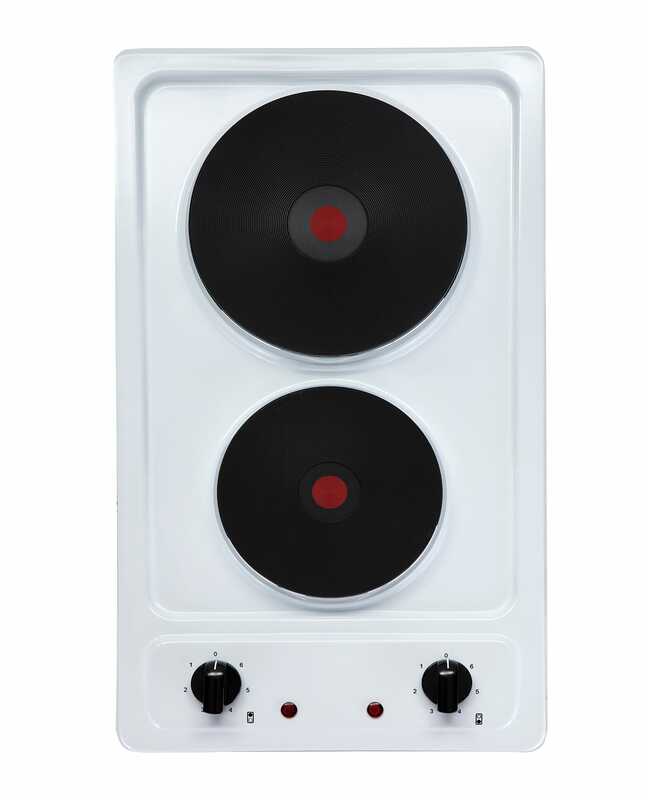 Traditional electric hobs come in two different varieties. 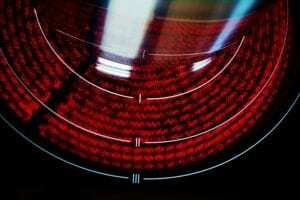 There are ceramic hobs, which see electric coils wound beneath a tough sheet of ceramic glass. You’ll be able to see exactly where the heat source is, thanks to patterns on the surface. Shop our range of SIA Electric Hobs! 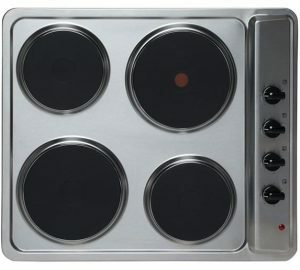 A slightly different, and older, form of the technology comes in the shape of the electric plate hob. Instead of a sheet of ceramic glass, plate hobs place heating coils directly beneath a solid metal plate. Metal plates have a considerable disadvantage – they absorb enormous amounts of heat, and so take a long time to heat up and cool down. This lack of responsiveness may prove inconvenient while you’re cooking – but it’ll also result in wasted energy, as the heat which you might have used to cook with will be radiated outward into the room. Long-time owners of plate hobs tend to form the habit of turning their hobs off slightly before they finish cooking – and allow the residual heat from the plate to finish the job. A ceramic surface, by contrast, will allow the heat to be more quickly conducted upward, allowing for speedier and more efficient heating. Since a ceramic hob generally consists of a single uninterrupted surface, they’re also a great deal easier to clean – there aren’t any nooks and crannies for bits of grime to get lost in. Moreover, more modern ceramic hobs come equipped with special features like touch controls that will make using and maintaining them easier. On the other hand, electric plate hobs are very affordable, which means they’re great for homeowners on a budget. 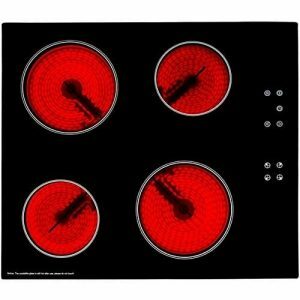 Save money on a brand new electric hob when you buy online today at Ship It Appliances. Low online prices & free delivery! Fitting an electric hob isn’t the same as plugging in a hairdryer or iron – though the technologies work via similar principles. The vast majority of electric hobs will draw more than thirteen amps – and so blow the fuse in a standard plug (and it’s a good thing too, otherwise the wire would likely overheat and cause a safety risk). Electric hobs should instead be hardwired directly into the mains by a qualified electrician. If you’re considering doing the job yourself, you’ll want to consider the risks: mains electricity can inflict serious injury and death if not treated with respect – and poor wiring jobs can cause the hob to function improperly. 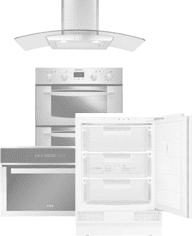 As well as labour, you’ll need to cover the cost of test equipment that’ll ensure the safety of the cooker. You’ll also need to think about the location of electric outlets and sinks. Electrical outlets should not be placed behind or near grills, and a distance of 300mm should be maintained between the grill and any sink in order to prevent any malfunction. As we’ve mentioned, unlike an induction hob, which generates heat directly within the pan, an ordinary electric hob works by generating heat in a coil, which then passes through the surface of the hob and into the pan. This offers plenty of scope for inefficiency, as a portion of that energy will pass into the surrounding atmosphere rather than into the pan. In this respect, ceramic hobs perform better than their metal-plate counterparts – which is why the former are gradually replacing the latter. That said, modern plate hobs are considerably more efficient than their predecessors, and so comparisons between the least-efficient plate hobs and modern ceramic ones are unfair. Generally speaking, ceramic hobs are superior to plate hobs in terms of efficiency – and should be opted for where your budget allows. If however you’re on a strict budget or looking for a short-term solution for a kitchen you don’t intend to invest much time in, metal-plate hobs can still offer a workable option. Traditional electric hobs do have one advantage over induction hobs – they’re able to work with any pan – including non-magnetic ones. This makes traditional electric hobs the more obvious choice, particularly for those who’ve assembled a sizeable selection of ceramic and metal pans. In the case of ceramic hobs, however, you’ll want to be aware of the risk of damaging the glass – which, while resilient, will tend to crack if a heavy pan is dropped on it from a height, and scratch if one is dragged across its surface. Copper-bottom and aluminium pans may encounter a similar problem, as they can potentially leave microscopic particles on the surface of the hob after cooking, which can over time form a residue that will necessitate cleaning. As a rule, glass containers can be used – but only if they’re advertised as hob-suitable. Many of them, notably Pyrex trays, are designed solely for oven use, and will burn if placed onto a hob, forming a nasty black patch that will render them unusable, or – worse – cracking and spilling their contents across your kitchen. Since electric hobs don’t produce poisonous gases like carbon monoxide, they’re thought of as safer than their gas-based equivalents. Despite this, they’ll still produce levels of heat that pose a danger – especially if they’re left unattended. While the more expensive hobs come equipped with safety features turn them off automatically after a given timespan, you’ll still need to ensure that you turn yours off before walking away from the hob after you’re done cooking. This is especially so in the case of plate hobs, which absorb heat, and take longer to return to room temperature. Depending on the available wattage, electric hobs are able to reach temperatures far in excess of those found in the interior of an oven, and are able to ignite stray tea-towels and kitchen roll with ease. If you’ve got children or pets in the house, then the danger is all the more pressing. A significant portion of house fires are caused by stoves being left on, so it’s important that cooks remember to switch off before walking off! Next Next post: How Energy Efficient is Induction Cooking?